Tropic Star Lodge is a world-renowned fishing resort located in Piñas Bay, Panama. The Lodge is carved into the hillside of the Darien Jungle and can only be reached by boat or small charter plane. 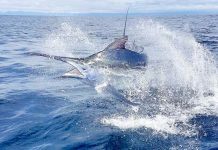 The remote Pacific location provides amazing fishing opportunities for guests looking to catch billfish; especially black marlin, blue marlin and sailfish. Guests from all over the world visit Tropic Star to fulfill their fishing dreams. Tropic Star Lodge has accommodations for 38 guests in 19 comfortably appointed, air-conditioned rooms on the grounds. The facilities also feature a restaurant, 2 bars, a freshwater pool and grill area– home to weekly outdoor dining and local entertainment under the stars. The food is fresh and fantastic, the service is first rate and the tropical ambience is a tranquil retreat from the hustle of home. 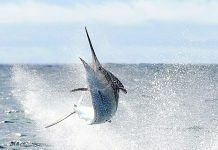 Tropic Star Lodge features fishing packages for 1 to 4 people in a boat and guests can choose to fish for 3, 4 or 6 days. 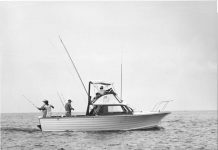 Our fleet of 13 classic 31’ Bertrams are crewed by outstanding captains and mates who have more experience fishing the area than anyone else in the world. Built in 1963; the lodge has a rich history and exemplary reputation as one of the best fishing destinations in the world. Tropic Star Lodge is family owned and strives to make everyone feel at home when they visit . The hospitality of the staff and crew keep guests coming back time and again. We invite you to explore the website to learn more about the lodge, our history and fishing updates which make the Tropic Star Experience so special. 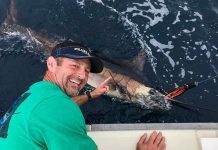 Make sure you watch our videos, read the latest fishing report and look at the exciting photos our guests share with us.